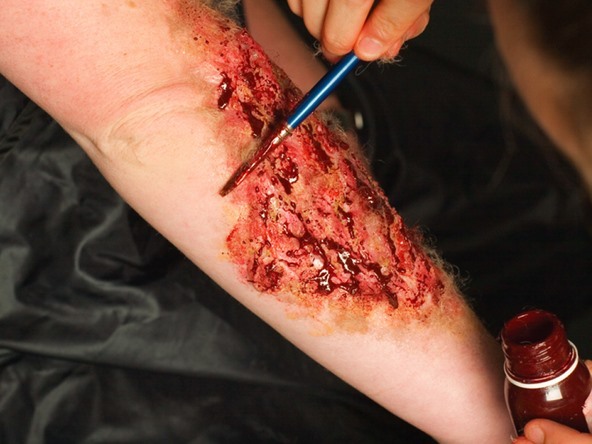 "Liquid latex rubber is great for wound makeup, large and small. Courtney likes to use it to create small flaps of skin for a skinned knuckle, which are convincing enough that when she occasionally wears her makeup to work as a prank, employers have insisted she seek first aid write a medical report, even after she has explained that her injury is just makeup." Very clever. No need for fake blood and gore to be Halloween-exclusive… go ahead, embrace it all year round! Click through to MAKE for the full tutorial.